Hailing from Birmingham, UK, The Real Cool are a three piece dream pop band on a mission to bring the 80s sound into modern times. 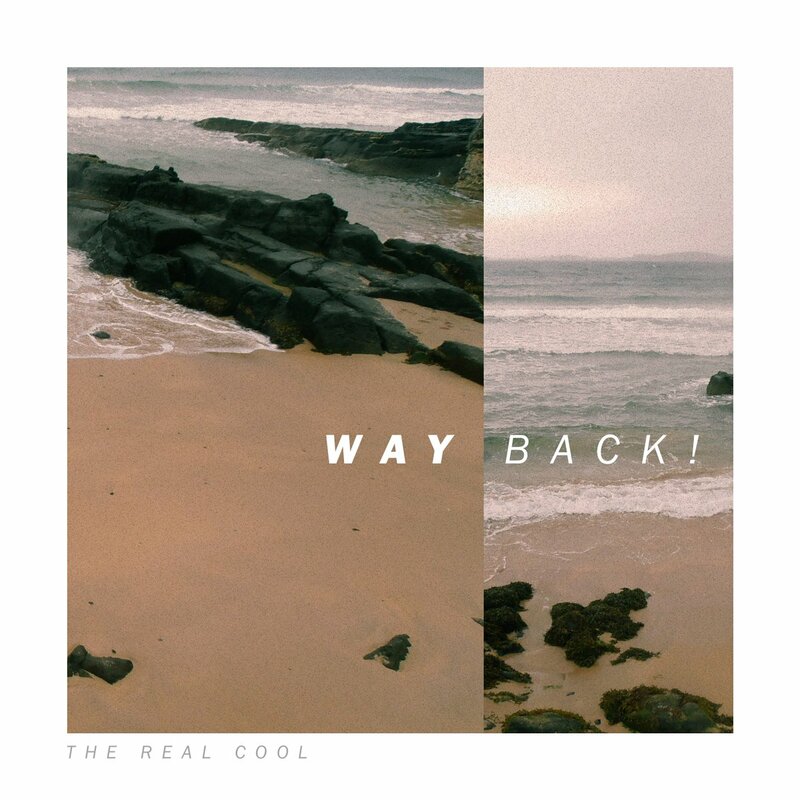 Today we'll be looking at their debut three track EP 'Wayback!'. Released earlier this year, the EP uses synths, drum machines and the narrative of love as a thread. The EP opens with title track 'Way Back' and immediately packs a punch diving straight into the lyrics of the chorus. Although slightly repetitive, this is a chilled song with relaxed synths and perfectly placed drum beats/claps punctuating the track. The reduction of instrumentation to just synths and a simple beat towards the end of the song is particularly interesting and adds to the laid back vibe. A relatively simple, clean sounding love song - this is one to sway your arms along to. Next up we have 'Home', a contender for my favourite track on the EP. Bright guitar riffs introduce the track but we quickly revert to the chilled synths heard previously with perhaps more of a bass element. Personally, my favourite part of this song comes towards the middle when almost all the instruments are taken away so you can hear the relaxed, raw tone and accent in the vocals. The mixture of slightly sarcastic social commentary-like lyrics, mellow synths and guitar riffs is slightly reminiscent of bands such as The 1975 - never a bad thing! But of course, The Real Cool add their own unique edge. 'Blinds' is the final track on the EP. - upbeat, pure synth heaven. I'd argue that this is the most 80's influenced song but still retains a modern twist and those smooth guitar riffs continue to make an appearance. With a higher energy and more bass enhanced groove, 'Blinds' is definitely one to dance along to and finishes the EP perfectly. The future looks very exciting for this Birmingham trio. Find out more about The Real Cool here.